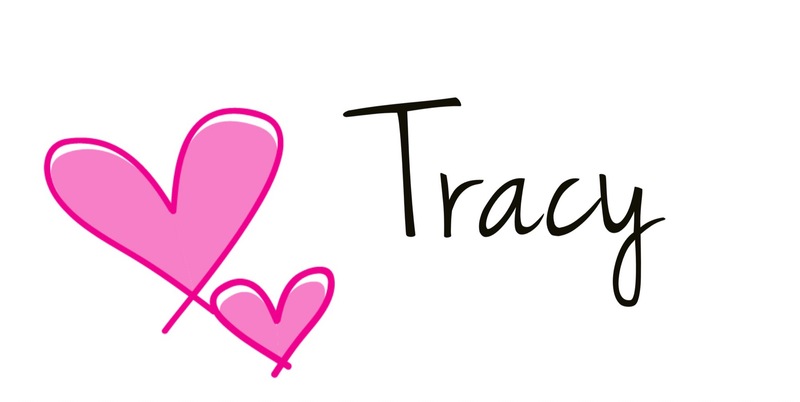 Published on November 5, 2017 November 4, 2017 by Tracy @ It's a T-Sweets Day! Kathy @Sewing Etc. is starting a Hand Quilt Along and I am happy to be joining in! I have two or three really large appliqué and embroidery projects that I hope to be posting about each month. The first project is my Down the Rabbit Hole Quilt. I have quite a bit of appliqué on this next round. I have already cut the wedges. And have even sewn them together. Now I need to appliqué them to my background piece. 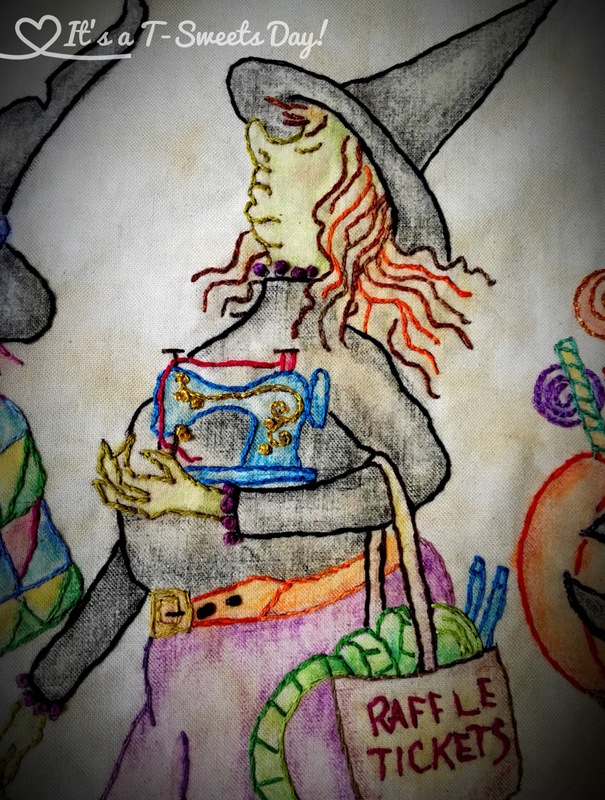 I am also in need of a deadline each month to make me work on my Salem Quilt Guild Quilt. I have finished one panel and just LOVE it! There are a total of three panels. I have the first finished and the second one is just waiting to be colored and embroidered. I can do this!!! I might throw in a few others as the new year gets going. I mean really, why settle for one project when you can have two or theee or four?! I know, I’m CRAZY! Here is the list of others who said they would be joining in. 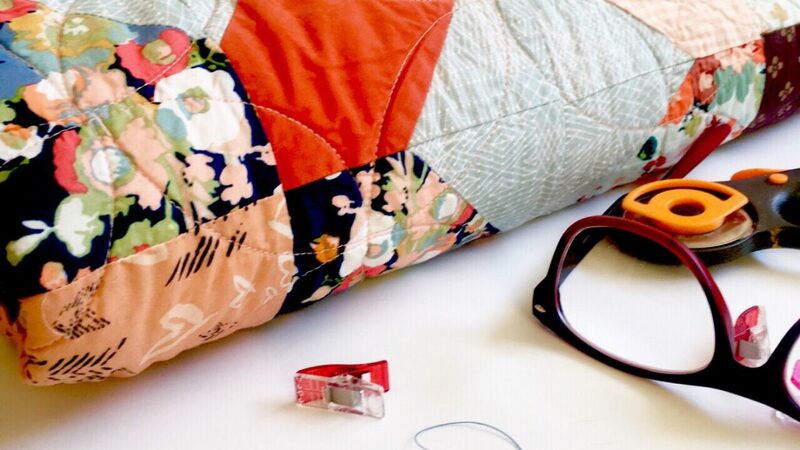 I’m excited to head over to their blogs and see what they are whipping up with their needle and thread:)! One can never have too many projects, lol. These are looking great, I love the Salem Quilt Guild block! Why stop at three or four projects 🙂 Your Rabbit quilt is looking great, love your bright colours. Both of those quilts are so cute! I wish I had a picture to share with you of a quilt my grandma made that your second one reminds me of! The panel is adorable – love the raffle tickets! 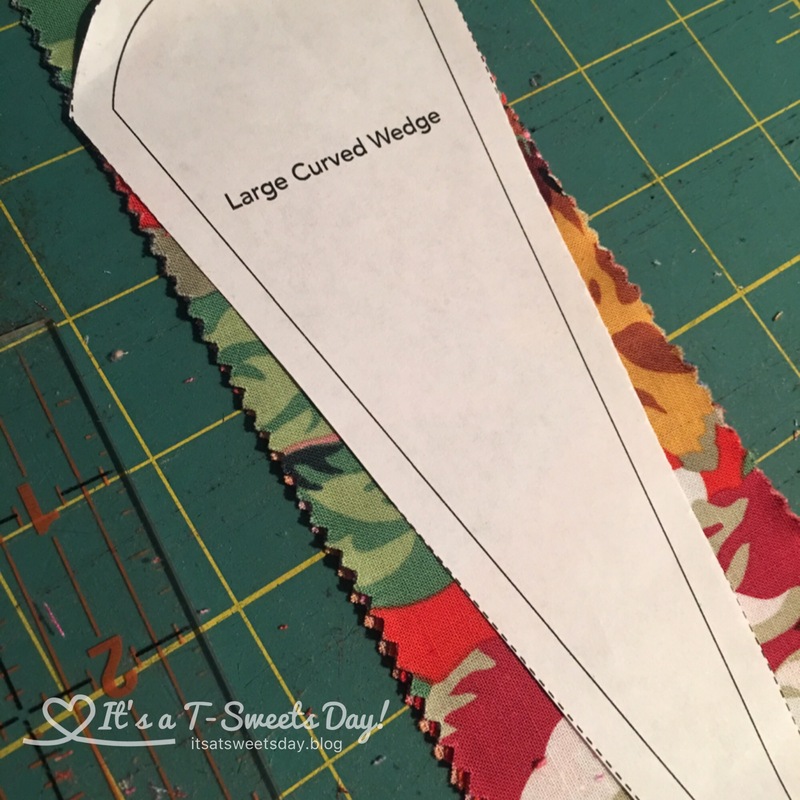 Also the wedges piece is going to be very cool – you always have a lovely selection of fabrics! These are looking great! 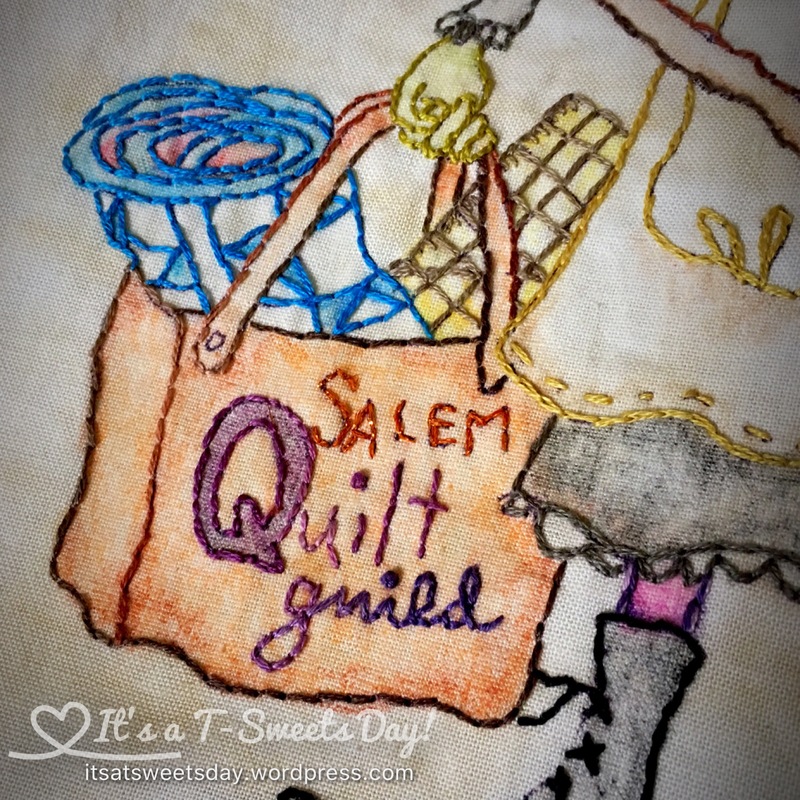 I really love the Salem quilt, that is going to be so much fun! 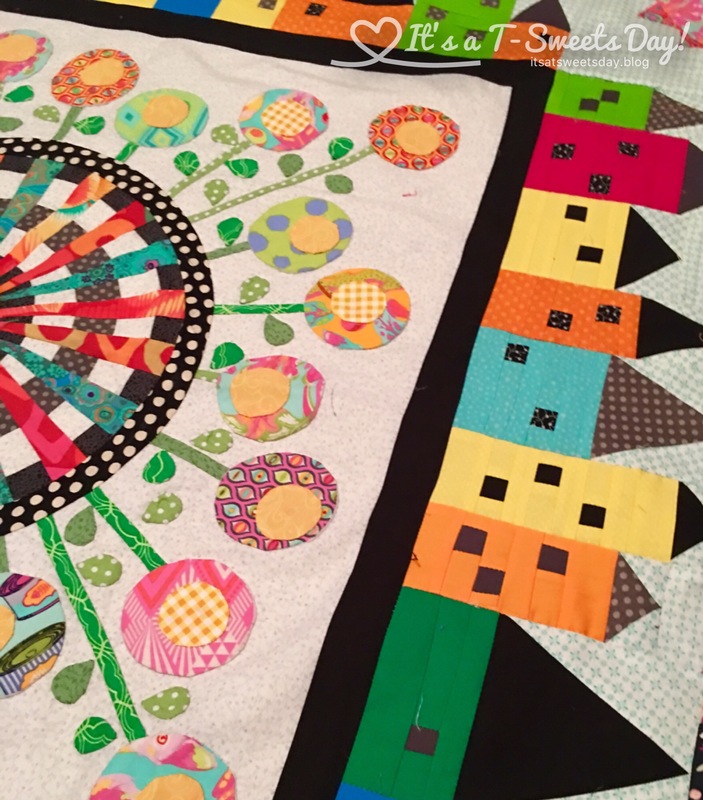 I have been wondering about your Salem Quilt Guild quilt, so happy to see it again, and I knew you would be including Down the Rabbit Hole. I am so motivated, just by the introductions today! Love your projects; it will be so great to get these perking along in the months to come! I love the Halloween quilt and your down the Rabbit hole is one of my favorites. I think it’s fun that two of this group are doing such different versions of Down the Rabbit Hole–it’ll be great to watch the development! Two good ones there to start you. Enjoy yourself. Hand stitching is very soothing, I think. 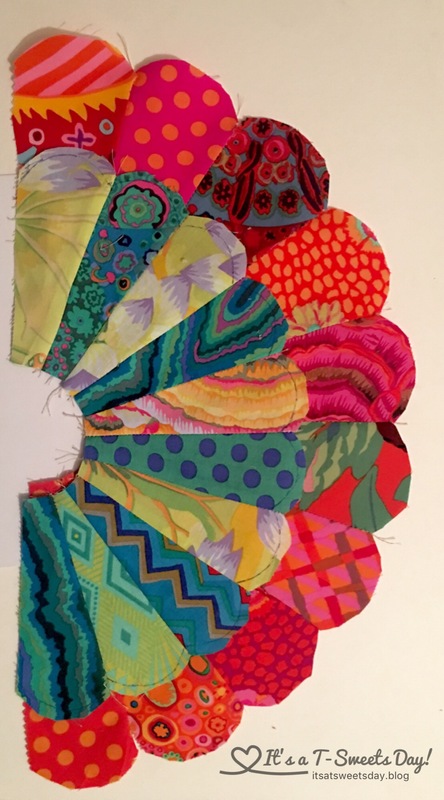 I have just found out about the hand quilt-along and have joined! I will be getting my blog post up soon. Love your quilt! Pingback: Moving Along Down the Rabbit Hole – It's a T-Sweets day!